1. 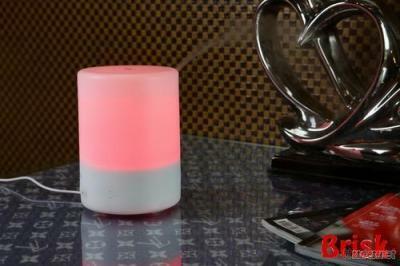 Humidify, purify, aromatherapy, decorate. 2. Drop in water and essential oil or perfume make you very comfortable. 5. Different pretty colours and patterns can be customized. 6. LED colour control: both auto and manual control. Auto changing when turn on the light, press the button secondly to fix a single color and gradual, press third time to fix single colors but not gradual. 7. Have CE, FCC and RoHs certificates. 8. Accessories: AC adapter, manual instruction.